The AOC E1649FWU is a portable 16” USB powered monitor which is an effortless addition to your multi-screen display setup. It is also the best companion for your travel laptop to view and use large spreadsheets and other applications. 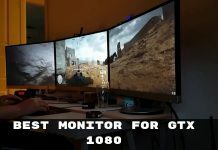 Unlike the other full-fledged monitors which connect via an HDMI or VGA cable, this AOC monitor connects via USB port. It has a swiveling support which allows you to use it in a portrait or landscape mode. Let us check the review of AOC E1649FWU monitor below and see whether it is as easy to get along with or not. The glossy piano-black design makes it look an attractive display which quickly picks up your fingerprints. Unlike the other portable monitors having a squarish design, this monitor has curved edges and a bulbous backside. It has a lightweight design of 3 pounds with a larger panel offering. It comes with a thick, smart and Foldable back stand which works in both portrait and landscape modes. The back sided USB port can be accessed when you open the stand. It has a built-in accelerometer which automatically rotates the screen. It comes with an installation CD which will help you to install the drivers for E1649FWU on your PC or Mac. You can also install the drivers from the AOC’s website. 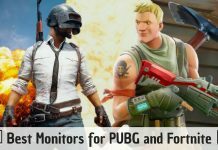 After the successful installation, the monitor’s screen instantly activates whenever you connect it with a USB cord. It comes with a USB cable with a mini-USB on one end which plugs into the monitor and two U-shaped full-size USB ends on the other. This cable will be helpful to connect this AOC monitor with some notebooks having older USB ports and which needed two plugs to connect. Most of the systems need only a single USB port for both connection and power, though. The glossy screen of AOC E1649FWU delivers bright colors and natural looking images. With a display of 15.6” and a 1366x768P resolution, it can read the smallest text in Google Docs. I found no trace of grayscale tinting anywhere during my test. I watched some full-screen YouTube videos like the trailers of “Star Trek Beyond” and “Pete’s Dragon”, I found that it struggles a bit to reproduce the darkest and the lightest shade of gray. 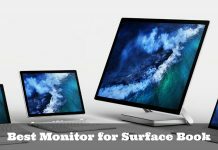 In simple words, it performs like any typical screen of a laptop and is not the best choice if you are going to use it for only watching and learning from full-screen videos. It has performed well with some Intel Core i5 systems I have used for testing like ASUS Zenbook and Apple MacBook. The dragging and dropping from one screen to another screen works perfectly fine with this monitor and never stuttered or flashed. 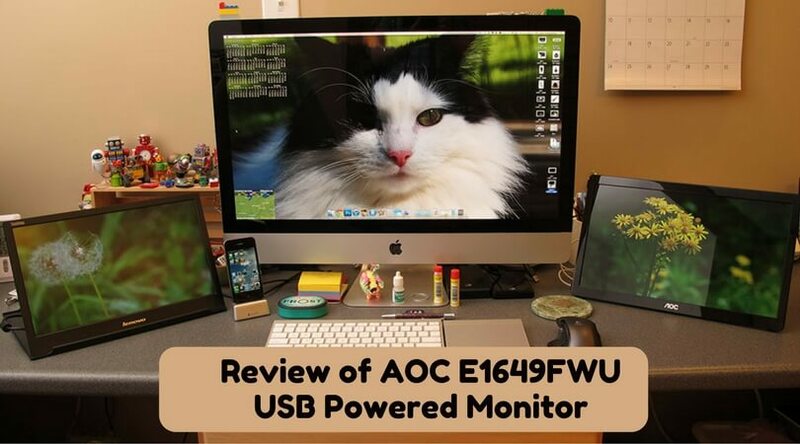 The AOC E1649FWU is an affordable and portable 16” USB powered monitor. It has a beautiful color and small text reproduction feature but has a glossy screen which has a prone fingerprint chassis. It is a neat little screen which is not a bad option for a dual-display setup, especially if you are a mobile office employee. Its auto-rotate feature makes you free from using graphics control panel to switch its portrait and landscape modes. However, the grayscale and viewing angle performances have the scope of improvements. But if you prefer a sleeker and thinner profile with a non-reflective screen, then the Lenovo ThinkVision LT1421 is a better choice. And if you are one of those wanting a larger portable workspace without paying some extra money, then AOC E1649FWU USB-powered monitor is the right option.